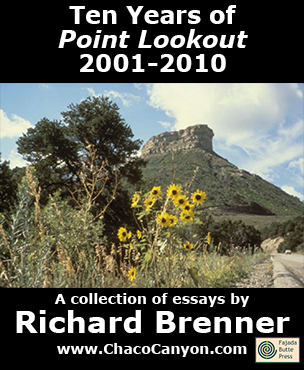 A collection of issues of Point Lookout from 2001-2010, in Acrobat format. Order it here, and receive download instructions by return email. Ten Years is in Acrobat format, which gives you several advantages. You can print it, and read it like any book. Or in electronic form, you can use the search capability of Adobe Reader to find passages of special interest to you. If you load it onto your laptop, tablet, or other mobile device, you can read it anywhere — and it's weightless, too. 1054 pages.